NEW! 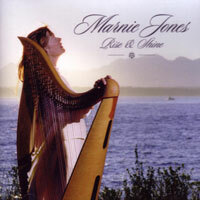 Rise & Shine - Marnie's latest, an all-harp recording with just a bit of help from Max Swanson on winds, David Lange with touches of synth and Marnie's voice on "Sacred Mother." Recorded at David Lange Studios, 2002, CD.